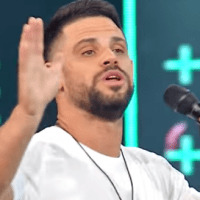 (Grayson Gilbert – Patheos) Steven Furtick has long been a bane to the Evangelical church on the basis of his own self-admission: he’s unqualified for the pastorate. He literally wrote the book on it in response to MacArthur’s one word answer when asked what his thoughts were on Furtick. Yet, rather than reassess whether or not he would be qualified per Scripture’s own stance, Steven Furtick doubled down in his pride with a publishing deal. While he may be unqualified in numerous areas, the key one that is readily apparent to those with an open bible is his striking inability to adequately teach (2 Tim. 2:15, 24). Regardless of his credentials, we know that any who teach shall incur stricter judgment than the standard Christian (Jam. 3:1). Indeed, we know that Steven Furtick wants to be a teacher, but he does not understand what he is saying or that which he so confidently asserts (1 Tim. 1:7). If he is genuinely in Christ, the best he has to hope for on this trajectory is to be saved, but only as one being snatched from the fire; he will lose all he has built (1 Cor. 3:15). It is no small wonder Paul gently instructs young Timothy to pay close attention to his life and doctrine, for if he retained sound doctrine, he would ensure salvation for both his hearers and himself. The issue here stems from the fact that Steven Furtick is not qualified to teach in any capacity, nor does he heed the harsh warnings for teachers. With respect to this, one can only conclude he willingly embraces his role as a false teacher. Thus, I write this not for Steven Furtick – it is doubtful it would reach him, more doubtful he’d read it, and even more doubtful it would change his mind if he did so. I write to the fan of Steven Furtick. Flee from him, lest your soul also be ensnared to hell. He is not a sound teacher. He is not the most obviously damning teacher, but he surely is one I’d say is the most cunning in his deception of the flock. If super soakers, Lego props, and the like were not clues enough – surely, the words of his mouth will serve as ample witness. This news story from the progressive site Patheos is posted for informational and research purposes and not as an endorsement of the source or other content on the site.